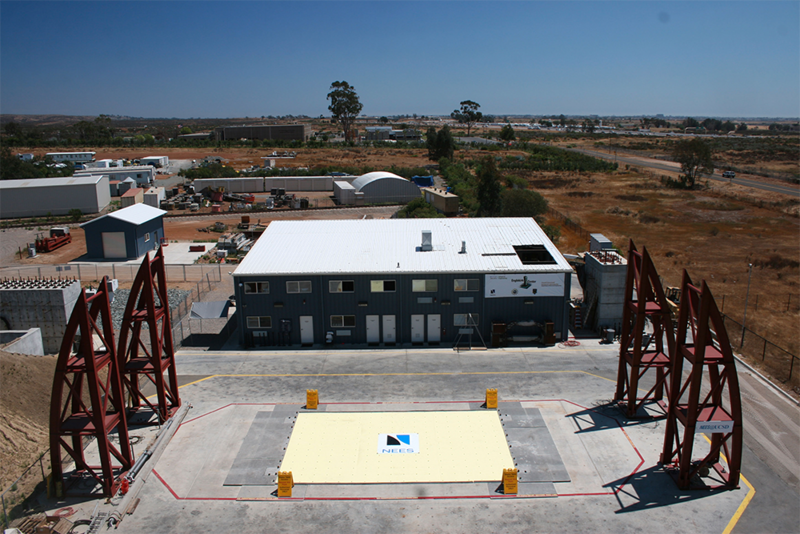 The National Science Foundation sponsored Natural Hazards Engineering Research Infrastructure (NHERI) Experimental Facility at the University of California, San Diego will provide a large, high performance, outdoor shake table (LHPOST) to support research in structural and geotechnical earthquake engineering. Earthquakes have had considerable destructive effects on society in terms of human casualties, property and infrastructure damage, and economic losses. Building a multi-hazard, disaster-resilient, and sustainable environment requires the understanding and ability to predict more reliably the system-level response of buildings, critical facilities, lifelines, and other civil infrastructure systems to these extreme events. This facility will enable research, with extensively instrumented large- or full-scale structural, geotechnical, and soil-foundation-structural systems tested under extreme earthquake loads, to produce the experimental data essential to advancing predictive seismic performance tools. Research experiments performed using LHPOST will provide life-size investigation that will transform the practice of earthquake engineering and educate graduate, undergraduate, and K-12 students, as well as the general public, about natural disasters and the national need to develop effective technologies and policies to prevent these natural hazard events from becoming societal disasters. The LHPOST, with a steel platen that is 12.2 meters long by 7.6 meters wide, has performance characteristics that allow the accurate reproduction of near- and far-field earthquake ground motions. The facility will support seismic testing, under near real-world conditions, of large structural, nonstructural, geotechnical, and geostructural systems, as well as soil-foundation-structural systems, up to a weight of 20 MN. Two large soil boxes can be used in conjunction with the shake table to investigate the seismic response of soil-foundation-structural systems. Software and hardware are available to support hybrid testing with substructures on the shake table. Systems tested at the facility can utilize extensive data acquisition and instrumentation capabilities, including a broad array of state-of-the-art sensors and high-definition video cameras, to support detailed monitoring, through hundreds of data channels, of the system response. The landmark system-level tests performed using this facility will provide fundamental knowledge and data to support the development, calibration, and validation of high-fidelity, physics-based computational models of structural, geotechnical, and soil-foundation-structural systems that will progressively shift the current reliance on physical testing to model-based simulation for the seismic design and performance assessment of civil infrastructure systems. These simulation tools will directly benefit the full realization of performance-based design to evaluate and reduce the risks of the built environment to natural hazards. This shake table facility can provide the validation tests for retrofit methods, protective systems, and the use of new materials, components, systems, and construction methods for disaster-resilient and sustainable civil infrastructure. See our Science Plan for more information on research that can be conducted using LHPOST. The University of California, San Diego Experimental Facility is supported by a grant from the National Science Foundation (#1520904).